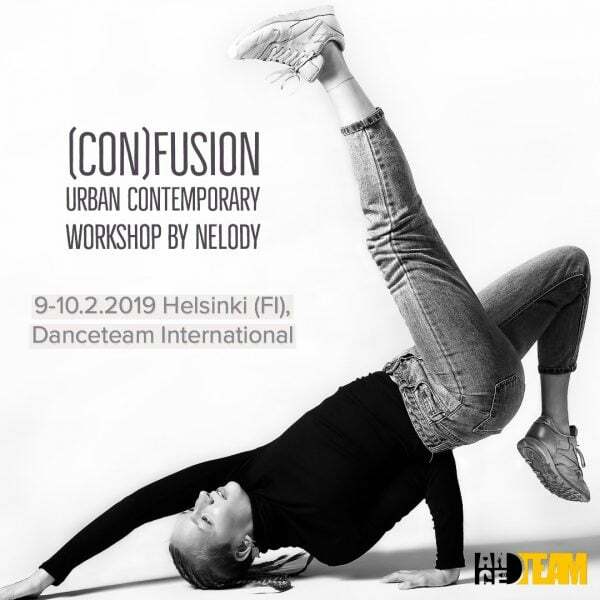 Nelli will be back in Finland with her (con)FUSION concept in February! Two days of movement, exploration and good vibes on 9-10.2.2019. This way all the participants have the chance to really get in touch with the concept and most importantly with their own movement and dance. Saturday 9.2 15.30-18.30 (3h) and Sunday 10.2. 14.00-16.00 (2h). Nelodys urban contemporary fusion, also known as (con)FUSION, is a mixture inspired by urban and contemporary dance. Class starts with a gentle but energizing warm up activating both body and mind. Exercises based on improvisation, various grooves, release technique and somatic movement warm up the body and wake up the mind. Through contemporary floor work exercises mixed with elements of breakdance and different isolations dancers get to challenge their stamina, strength and coordination skills. Different techniques adapted from various street dance styles are being introduced and trained to offer new perspectives for dancing and expand the different intensities and qualities of movement. Nelody lays a lot of emphasis on change of energy, musicality and so-called ‘groundedness’; that allow the body to open up and be ready to switch quickly from one movement quality to another. She uses freestyle-based tasks in her classes so that the participants to learn and experiment new opportunities – and also just to “dance it out” and to get closer to freestyling, playing and expressing. Nelody’s personal interest lies in storytelling, musicality and individual movement language. She does lots of research by using improvisation tasks while composing her choreographies and while teaching she offers everyone the freedom to explore movement and the connection to one’s body and the space around.